At BM Engineering, we supply a wide variety of process industry special equipment ranging from packaged pumps to humidity separators and steam injectors. No matter what your process industry special equipment requirement, BM Engineering can supply the product solution – delivered to an extremely high standard, each and every time. The Valsteam POP-K packaged pump can be used to lift or dislodge hot condensate and other liquids even in hazardous areas. 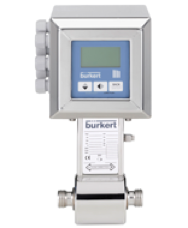 A POP-K packaged unit comprises an Adcamat pump, a vented receiver and all auxiliary items, compactly mounted on a metal frame piped and ready for connection. Packaged units save time, work and site costs. In addition, they ensure that installation of the pump is correct in every detail. Two or more units can be connected in parallel to cope with flow rates beyond the capacity of a single pump. Units operating with compressed air are also available. The Valsteam S25 series of centrifugal separators remove moisture from steam and compressed air pipelines. The condensate is then collected at the bottom of the separator and automatically drained by a suitable steam or compressed air trap. What kind of special equipment can BME supply?